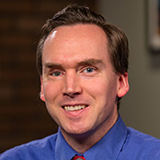 Andy is the former senior manager of content for Bible Gateway. He currently works at Calvin College. The Reformation Study Bible is now available on Bible Gateway! The Reformation Study Bible is an invaluable aid to Bible reading and study, and we’re thrilled to make it available to you online. The heart of the Reformation Study Bible lies in its thousands of study notes, drawn from the work of more than 50 distinguished Bible scholars (including J.I. Packer, Wayne Grudem, and many others) and edited by respected theologian and pastor R.C. Sproul. 1. Look up a Bible passage on Bible Gateway—for example, Acts 1. 3. Click on the entry from the Reformation Study Bible that you want to read. The appropriate study note will be displayed in the Resources tray next to the Scripture passage. That’s all there is to it—now you can read insights from some of Christianity’s most respected theologians right along with your regular Bible reading. The Reformation Study Bible is the biggest addition we’ve made to our collection of Bible commentaries and study tools in years; and we’re very grateful to Ligonier Ministries for making it available on Bible Gateway. You can learn more about the Reformation Study Bible, or purchase a print copy at the Bible Gateway store. 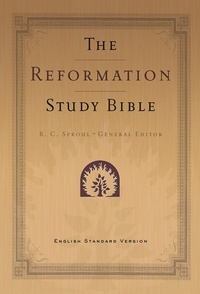 We hope you find the Reformation Study Bible a useful tool in your own Bible reading and study!